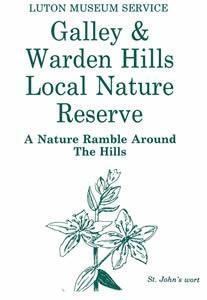 Galley & Warden Hills Nature Reserve at Luton Walking RouteThe hills became Luton's first local nature reserve in 1993. Lying within the Chiltern's Area of Outstanding Natural Beauty, the hills are home to rare species of flowers and butterflies. Photographic displays can be viewed at the John Dony Field Centre. Start/Finish Point: From the car parking area.Start Nat GR: TL085258. The hills became Luton's first local nature reserve in 1993. Lying within the Chiltern's Area of Outstanding Natural Beauty, the hills are home to rare species of flowers and butterflies. Photographic displays can be viewed at the John Dony Field Centre. How to get there by car/Parking: Follow the Barton Road (A6) running out of Luton to the north and turn right onto Warden Hill Road. There is a car parking area at the top of Warden Hill Road.